Join IAU College for its summer program in Barcelona, Spain. Located along the Mediterranean Sea, the city allows students to experience the culture of Catalunya. The mild climate, famed cuisine and breathtaking arts give the Mediterranean region a distinct feel, unique from anywhere else in the world. There’s no better way to improve one’s knowledge of the Spanish language and its customs than by interacting with the local community. Students in Barcelona will have the opportunity to practice their language skills in the classroom and also with native Spanish speakers through language exchange programs and cultural events. Over the course of their time abroad, students can expect to participate in field study trips associated with specific classes, study tours, and day trips, as well as cultural activities like Catalan cooking courses, Flamenco classes and cava tastings. A city tour of Barcelona and its architecture as well as visits to local markets and enterprises round out the experience. 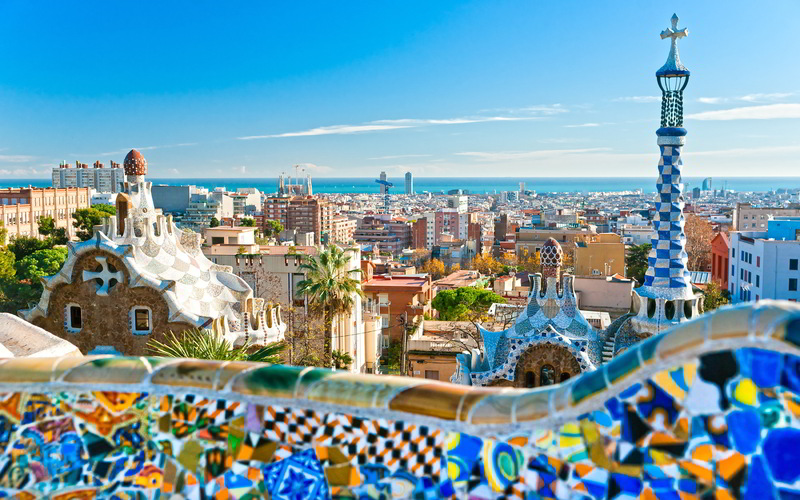 Students who participate in the Barcelona Summer Program can choose from a variety of Spanish language and culture courses that range from introductory level Spanish to upper division Spanish literature and cinema courses. To complete the course curriculum, IAU hosts a plethora of guest speakers and lecturers from a wide breadth of disciplines including journalists, musicians, and political activists. Panels and conferences that are hosted throughout the summer allow students to hear a full spectrum of opinions about both Spanish and Catalan politics and lifestyles. Students who participate in this program will develop a deeper understanding of the Spanish language and its relationship to Catalan history and culture. Full of masterpieces by the famous artists Salvador Dalí and Antoni Gaudi, the city is a classroom in and of itself, exposing students to Modernist and Surrealist architecture and paintings.